Finally! Again, I am super excited to share another little adventure with you! This trip was definitely on my to-do list when going to Canada and Vancouver, but since I only had three weeks here and already spent two of them in the Rockies, it was hard to find accomodation and then, I thought: Hm, maybe next time. We had a very nice little break! It was already later in the afternoon when we arrived at Long Beach, but we were still super excited for our very first surf session! 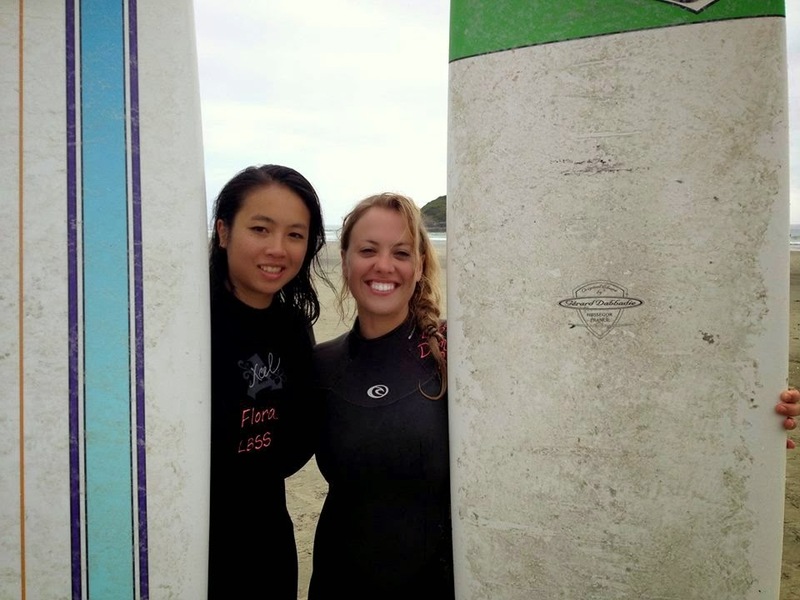 My dear friend Dasha (in the middle, picture underneath) learned surfing in New Zealand and gave us some tips and tricks. 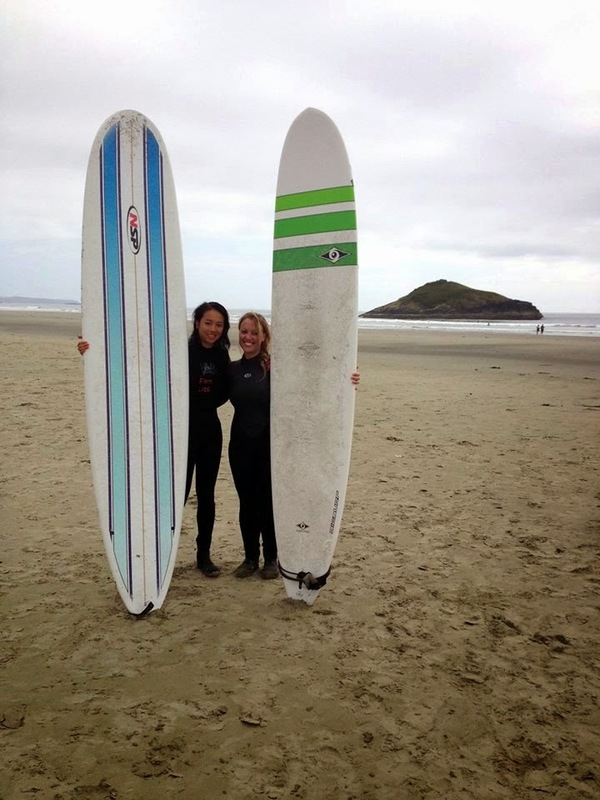 This was my first time surfing and although I ended up not taking any classes both days, it was tons of fun! Rough water, salt, mother nature at its best! 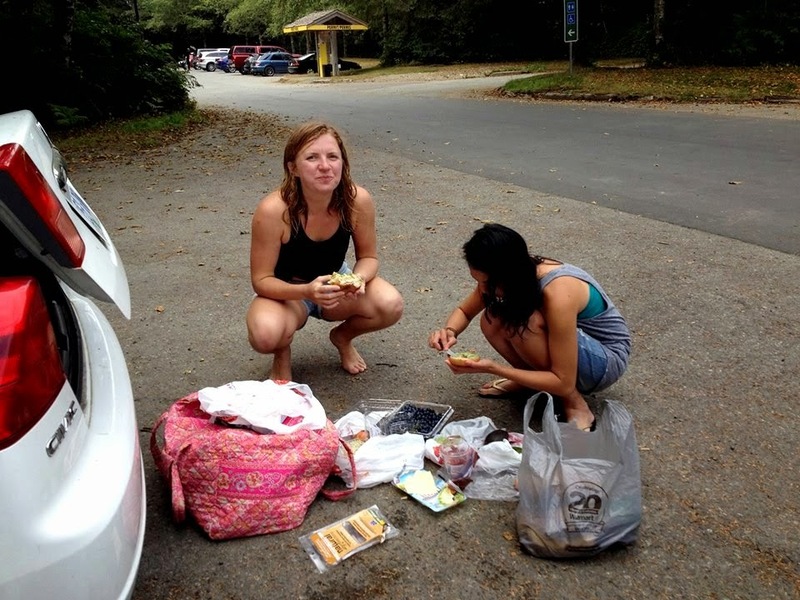 Luckily, Dasha had some friends out in Ucluelet, south of Long Beach, so we had lovely dinner altogether, pitched our tents in their backyards and they went surfing with us! 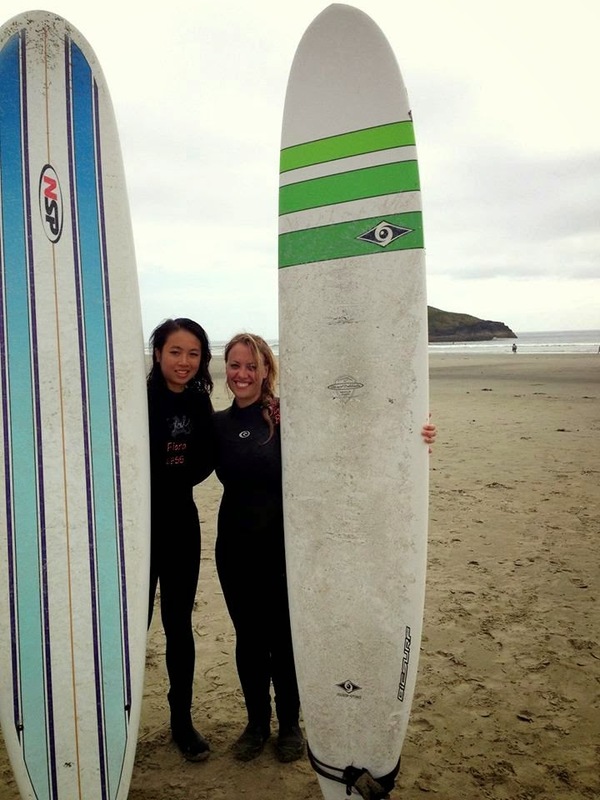 On our second day, we went surfing again! 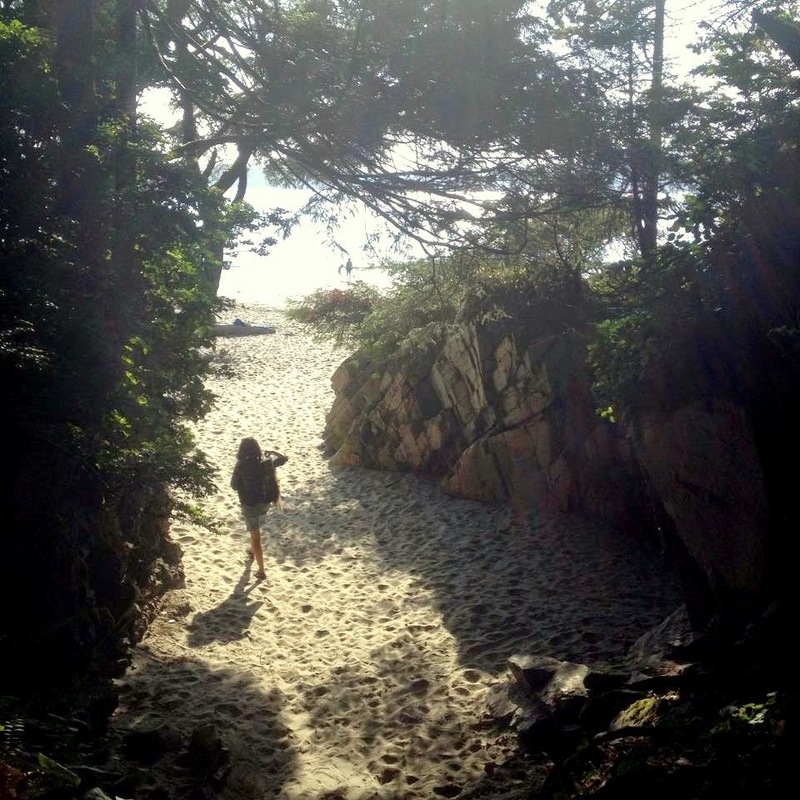 This was really the main point by going to Vancouver Island :) I was so happy that everything worked out, that I got to experience another part of Vancouver and its surf culture! 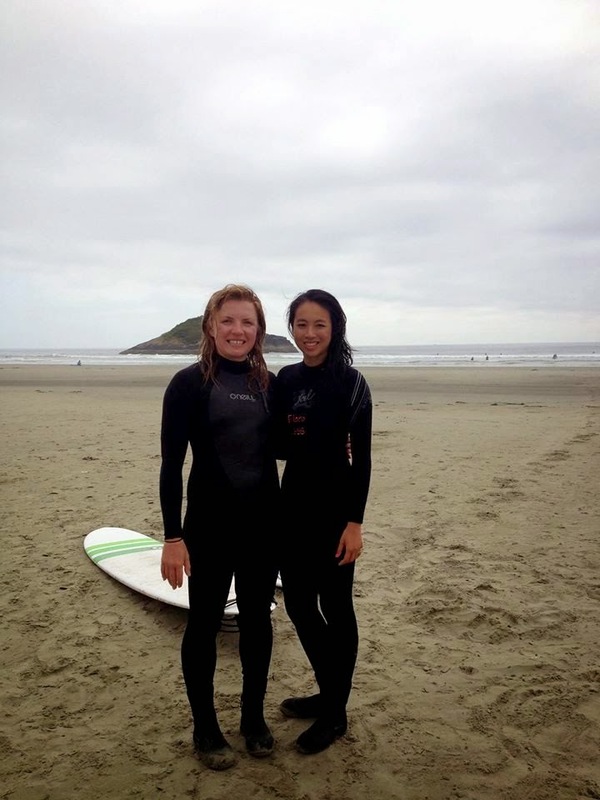 After an hour of surfing and nice waves, we explored Tofino and Tonquin Beach, which was just amazingly beautiful!!! 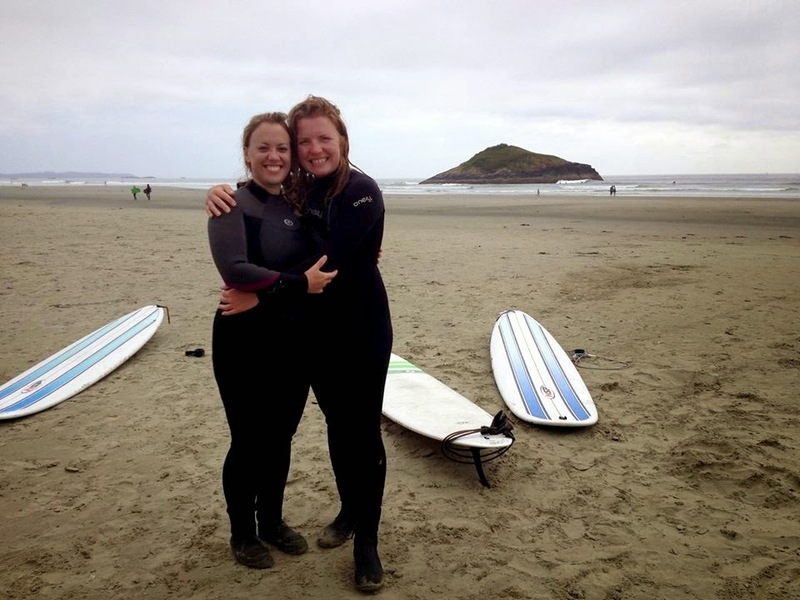 Everything was perfect, the whole road trip with the girls, my first surfing experience, the stay with the guys, the wonderful finish at Tonquin Beach. This moment right now, this is my life and I feel so at ease. Everything feels right and I am so grateful for this. Always stay curious, believe in life, do whatever you want and never stop dreaming.